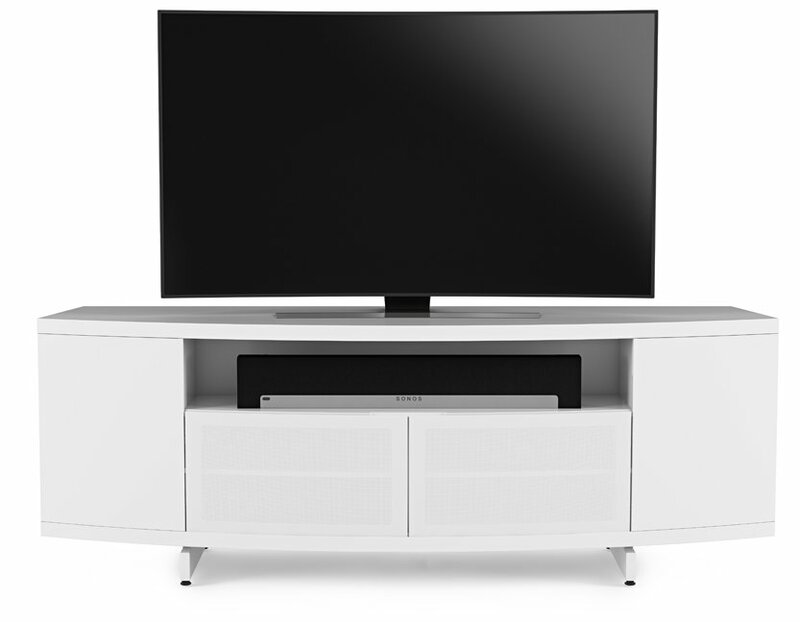 The beautiful convex outline of the BDI Sweep 8438 Satin White media console creates an eye-catching centrepiece for your media space and a genuinely alternative companion piece to the latest curved TV screens. 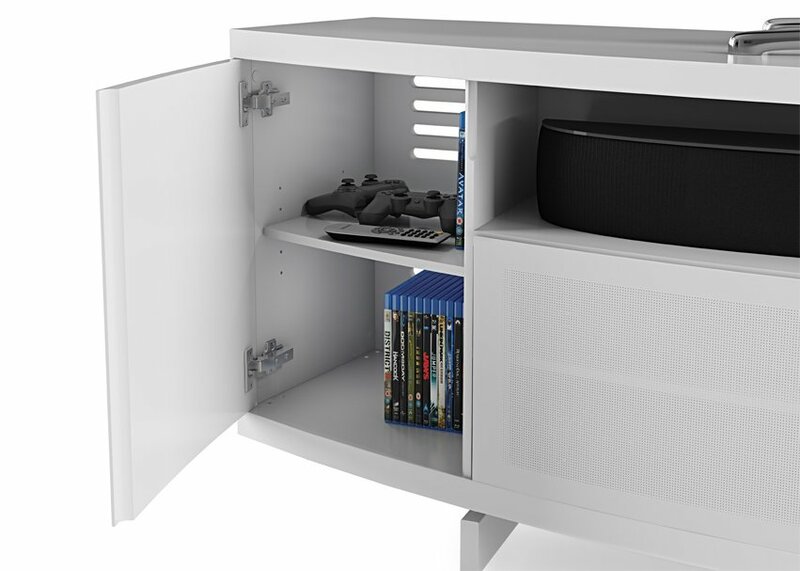 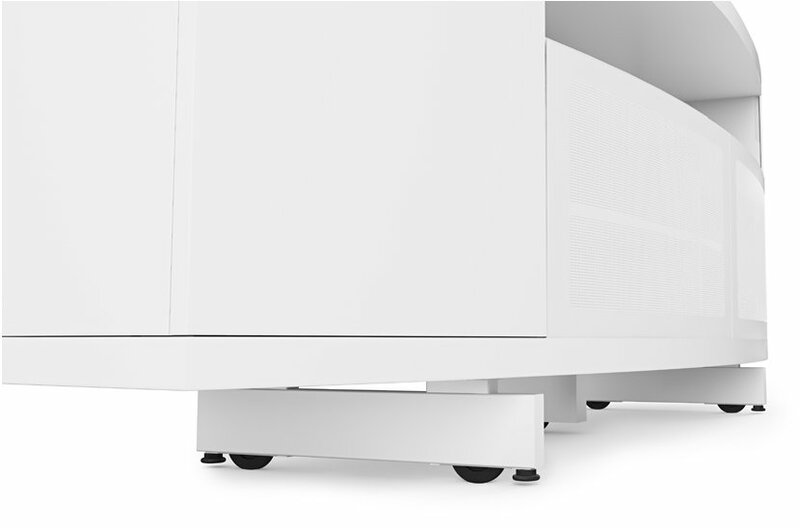 With ample room for Amps, gaming systems, sky boxes etc split between panelled cabinets and storage concealed by IR-friendly tinted glass, the BDI Sweep 8438 offers practicality delivered by BDI engineering. 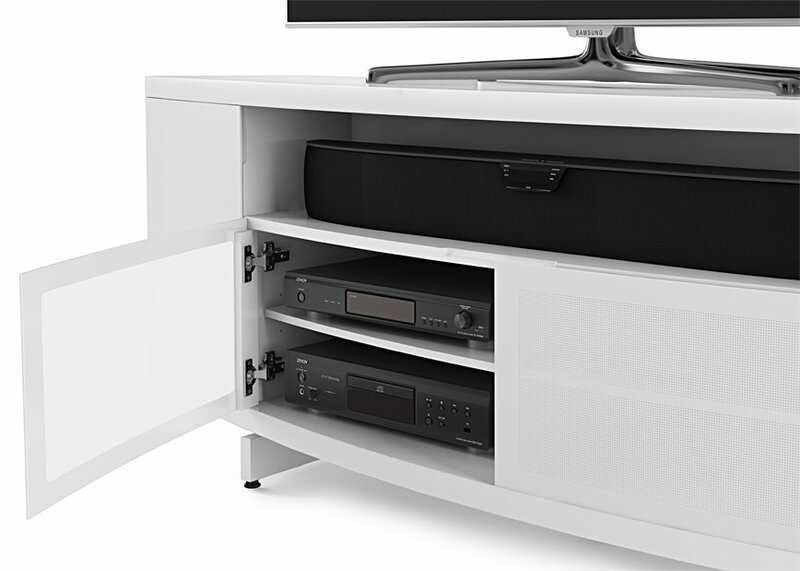 Removable back panels, adjustable shelves and smart cable management ports all work to keep your media equipment tidy, well-managed and well-ventilated, while the dedicated central soundbar shelf is the ideal home for the latest audio equipment. 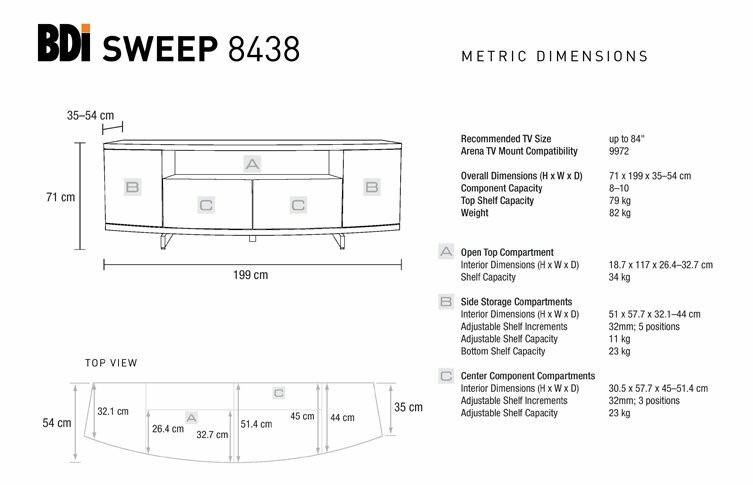 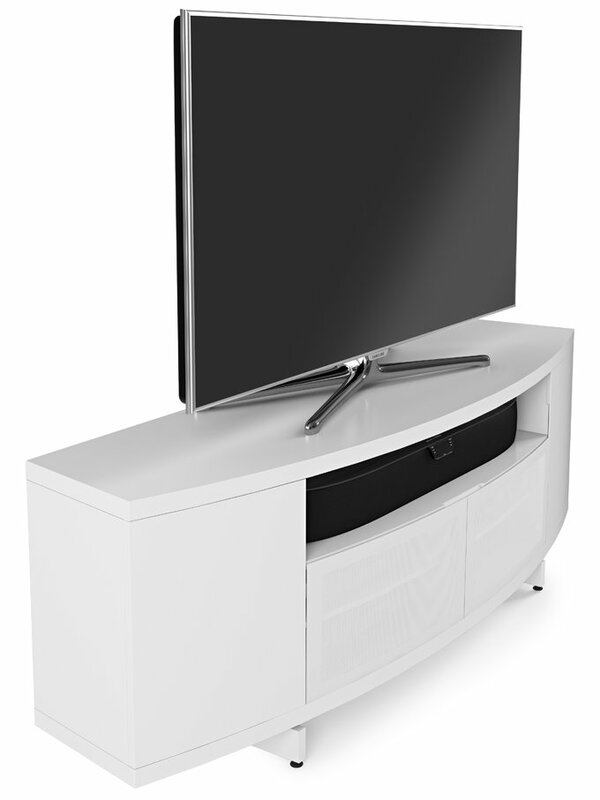 Stylish, practical and smart, the Sweep 8438 is a truly well-rounded entertainment centre for the home.